A SPECULATIVE investor has secured an Ocean Grove commercial development super site after an expressions of interest campaign drew to a close last week. 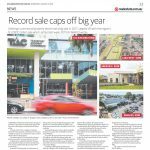 The Geelong region buyer secured the parcel in a confidential sale, which comprised three properties at 85 and 87 The Terrace and 96 The Parade, Ocean Grove. 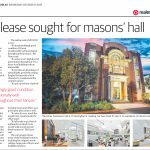 The Advertiser understands the properties fetched more than $5 million in the deal, which was at the top end of what industry sources believed the combined properties could realistically fetch on the market. 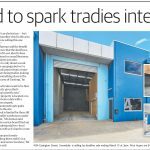 Darcy Jarman, Geelong West agent Tim Darcy said the local buyer secured the properties in one line after the vendor expressed a preference to deal with the properties as a whole, rather than individual parcels. “The buyer has a profile of a speculative investor-come-developer. 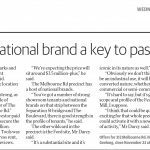 “And because the properties are encumbered with leases, it was a landbank opportunity with income and the purchaser may have an eye on the future,” he said. The campaign attracted a raft of local and external interest, he said. “Ocean Grove is a very solid market and one of our more popular coastal towns,” Mr Darcy said. “It is on the march, there’s a lot of growth there like Torquay but it attracts a different demographic. The future development prospects lie in a framework to redevelop the intersections between The Parade, Hodgson St and The Terrace that could unlock two neighbouring council-owned properties (a reserve and a car park) to create a development supersite. The properties have more than $305,000 in annual rental income.